Sarah Bailey and her team bring a fresh approach to real estate Choosing to sell your family home or investment property is not a decision most people make lightly. Finding the correct agent to entrust with this responsibility should be based on their results, recommendations from others, and your opinion of their professional capabilities. Sarah’s career in real estate began in 2007. She has negotiated her way through both soaring and falling markets. Sarah has advised, supported and negotiated for hundreds of local sellers with their best interests at heart. She has also won many awards throughout her career, including, Rookie of the year (many years ago!) Rising Star and the REA achievement award 2007. More recently she has been awarded both Gold & Platinum Sales awards. When you engage Sarah and her team as your agents you really do get a six-star real estate experience. They are there to support you right from the start through until the contracts are exchanged. Sarah looks forward to helping you and your family on your real estate journey. 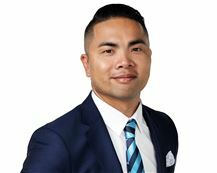 Lan started his Real Estate career selling off-the-plan apartments and townhouses located in the inner city of Brisbane. During this 2 year period, Lan was able to build lasting relationships by adopting a work ethic which incorporated strong communication skills, hard work, honesty, and a down to earth approach to selling real estate. He used these traits to achieve and exceed expectations for his clients. Lan now brings these values across to residential real estate. His passion and knowledge of Oxley and surrounding suburbs comes from living in the area for over the last 30 years. With a love of the area, it’s not hard to see why Lan is raising his family here. Lan is looking forward to building relationships for life built on trust and confidence, this is backed by the experienced team at Harcourts Marketplace. His enthusiasm and easy going approach makes him great with his clients from all cultures and backgrounds. His ultimate goal is to leave a lasting impression, leaving his clients fully satisfied with the professional and caring service they have received. With an extensive background in property spanning over 14 years, Jess has had the pleasure in exploring most avenues within the property industry. These include project marketing, leasing and sales, residential sales, commercial management and sales, property management, business development in residential property, training and mentoring, department and office management, residential leasing and trust accounting. As a result, Jess prides herself on being a “jack of all trades”. 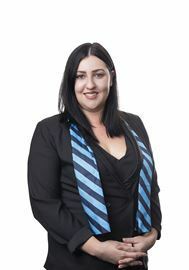 Jess has trained and worked with some of Brisbane’s most developed property management and sales teams. As a multi-award winning agent, both in residential business development and sales, Jess demonstrates a flawless work ethic and outstanding structure for personal success. 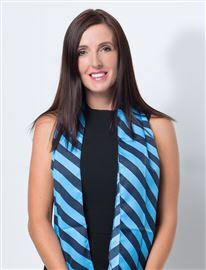 Within her first 12 months working as a Business Development Manager with Harcourts, Jess independently introduced over 330 new managements into her business with 99 of these properties introduced to the agency within a 3 month period. This remains to be a predominant achievement within the national BDM community. 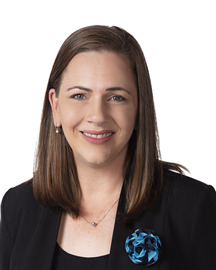 Previously working for top performing teams across Brisbane, Jess offers heightened knowledge and expertise in negotiation skills, property management, team management, training and one-on-one mentoring. 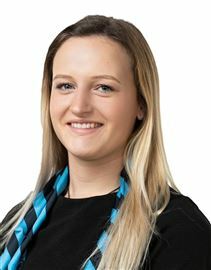 As the Rental Department Manager for Harcourts Marketplace, Jess is heavily focused on ensuring her clients receive only the very best service. Jess provides a trialled and tested approach to the marketing and letting of residential property, thus ensuring clients experience minimum vacancy whilst obtaining maximum return on their investment. Jess has strict processes and guidelines in place to not attract “a” tenant for your property, but to attract “the” tenant for your property. Georja is incredibly passionate about helping clients find their dream home, her passion and love for real estate brought her into the industry in July 2017 from her previous role in hospitality and sales. Georja understands and appreciates the importance of service, follow up and communication. For Georja it’s not about just finding someone a home, but helping them through and assisting them in understanding the process so there’s no nasty surprises. Her can-do attitude imparticular a love for out of the box marketing via social media allows her to utilise the latest technology to promote a client’s property and stay in touch. She brings these skills to the Sarah Bailey team at Harcourts Marketplace and aims to develop her strengths further as an agent. With-in her first year of becoming a Real Estate Agent, she has been able to achieve over 18 transactions ranging up to $800,000. 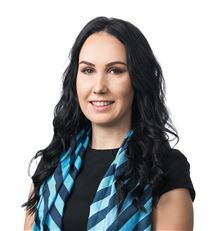 Georja looks forward to assisting you along with Sarah Bailey with your real estate needs.